Dharamshala is Himachal Pradesh's second capital that was formerly known as Bhagsu. Enveloped with coniferous forest, particularly deodar trees, Dharamshala is a picturesque hill station that is nestled in the hills of Kangra Valley. It is home to beautiful suburbs, such as McLeod Ganj, Dharamkot, etc., places that have steadily gained major tourist attention. The lifestyle of Dharamshala is a fine blend of Tibetan, British and native Himachal cultures that are clearly evident in the way of life and the places of interest spread across the city. Dharamshala is known for being the residence of Dalai Lama along with the exiled Tibetans. With stunning monasteries, serene lakes, alpine trees and pristine nature filling the hill station, Dharamshala is definitely worth a visit. What's more, if you're a Delhi folk, the hill station is located just about 480 km from the city making it a great escape for a long weekend. 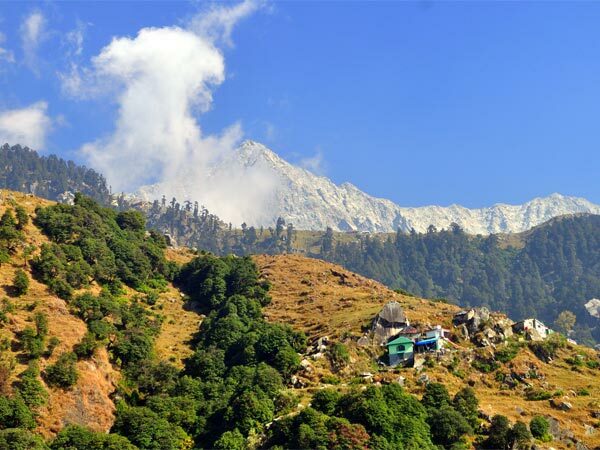 Summer months of April to June are ideal to visit Dharamshala since the weather is pleasant and won't cross 25 degree Celsius-a perfect escape from the sweltering climate of Delhi. However, winter is also a great time to visit Dharamshala since the entire valley will be snow-filled, enhancing the scenic beauty of the city. Route 1 is preferred since it takes lesser time and is of shorter distance. Panipat and Kurukshetra are the twin cities of mythological significance since their role in the Hindu epic Mahabharata is mighty. They were also ruled by the Mughal empire; therefore, you get to see Mughal architecture as well. Places to visit in this historically significant city include Brahma Sarovar, Sheikh Chehli ka Makbara, Panipat Museum, to name a few. Ambala is a city known for being an Army Cantonment area since it has a huge presence of Indian Army and the Indian Air Force. It is a city surrounded by the two rivers of Ghaggar and Tangri; one in its north and the other on the south. Some places of interest in Ambala includes a 400 yr old Rani Ka Talab, Sisganj Gurudwara, which is also known as Baoli Sahib, Jain Mandir, to name a few. Located about 255 km from Ambala, Kangra is a city of Himachal Pradesh that is spread with exciting places to visit. It was formerly known as Nagarkot and was mentioned as "Devbhumi" which means "land of the gods" in ancient Hindu texts. Visit Masroor Rock Cut Temple, which is also known as Himalayan Pyramids, a magnificent temple complex that is built in shikhara style of Indian architecture. Jawalaji, Chamundai Devi Temple and Kangra Fort are some of the other places you must stop by at Kangra. Located at a distance of about 22 km is the final destination, Dharamshala. Sometimes known as the Dalai Lama's temple, the Namgyal Monastery is a personal monastery of the 14th Dalai Lama, Tenzin Gyatso. The monastery is perched at height that overlooks the Dhauladhar ranges of Himalayas. It is home to at least 200 Tibetan monks who study Buddhism, modern studies of English and Tibetan languages and more. One of the suburbs of Dharamshala, McLeod Ganj has a huge population of Tibetans and therefore, has interesting places to visit that are of utmost significance for Tibetans. Tibetan Museum, Bhagsu Falls, Church of St John, are some of the many places that you need to visit at the picturesque suburb of McLeod Ganj. About 6 km from Dharamshala city centre and 9 km from McLeod Ganj is the popular trekking destination, Triund. It is a tiny hill in the Kangra Valley, which is perched at a height of 9,200 ft at the foothills of Dhauladhar range. It is an easy trek, where the route is spread with pleasing lush green grass and surrounded with oak and deodar trees. The trek is completely worth the breathtaking view of the valley. Gyuto Monastery is one of the most important sites of Buddhist pilgrimage that was founded in 15th century and re-established in the 20th century. The monastery is popular worldwide due to the practise of tantric meditation. Since the monastery is settled on a terrific altitude, it gives a stunning view of the river Beas and Dhauladhar range of mountains. You can see a statue of Shakyamuni Buddha within the monastery's premise. At a distance of 9 km from Dharamshala lies the mesmerising Kareri Lake. It is a high-altitude freshwater lake that is a popular trekking destination. Nestled in the arms of nature, the Kareri Lake is surrounded by lofty Dhauladhar ranges and has a temple dedicated to Lord Shiva on the hilltop. The lake stays frozen between December to March and the view is simply stunning.